The Awhitu Peninsula encloses the Manukau Harbour. It is rugged, beautiful, and just over an hour from central Auckland. There are still remnants of the once thick puriri and kauri forest in the steeper valleys. A wide variety of agricultural and horticultural activities are visible on the Peninsula as are a number of charming harbour beach settlements, which are in direct contrast to the wild west coast and its 200m high sand cliffs. In the Franklin County several towns were surveyed in the late 1800s but never built. Greenock was one of these out on the Awhitu Peninsula. In those pre-road days every little bay had a wharf and the settlers sailed for supplies to Onehunga, which at that time was the main port for trans-Tasman trade. 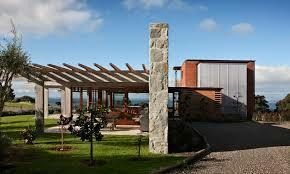 Awhitu Wines is found in Greenock Drive at Grahams Beach. 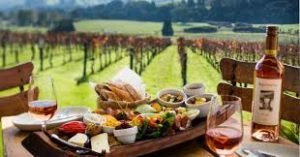 Join us for cellar door sales and a leisurely tasting experience in our unique location. Week days usually open though call to confirm. Large group tastings are available by arrangement. Platters can be provided on request.